▶ SoldThis listing was sold on Aug 31, 2018 for the price shown here. 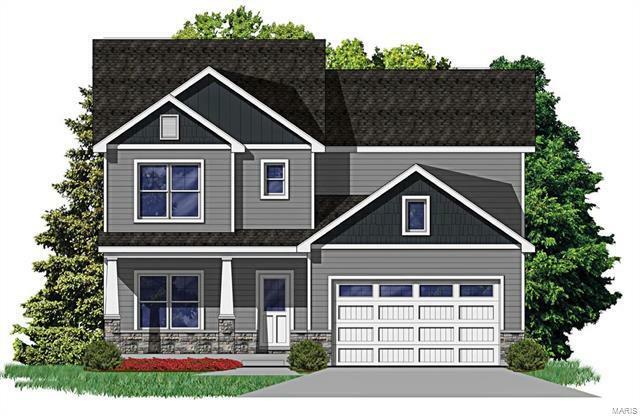 This brand new, to-be-built home with approximately 3,249 SF of Living Space is loaded w/ standard features! Unlike much new construction, the base price of this home already includes countless upgrades! Enjoy all that Kirkwood has to offer in this home, w/ the added benefits of new construction! This luxury home boasts 5 BR's, huge great room, formal dining, fireplace, 8'10" bsmt pour, wood floors, 2 zone hvac, 9' 1st floor, wood stairs & so much more! The gourmet kitchen features an island w/countertop extension, granite, gas oven/range, tile backsplash & walk-in pantry. In the master retreat, you'll find an enormous walk-in-closet, sep tub/shower, double sinks & sep water closet. The finished lower level includes a bedroom, 3/4 bath & a huge rec room! The exterior has wonderful curb appeal w/covered porch, sod, landscaping, architectural shingles, stone details & much more! Too many upgrades to list here, pick your own colors and finishes! Subject to final municipal review. From Couch Avenue, head west on Duley Avenue to Right on Frieda Avenue to house on left.